The tank for transportation propane-butane of 12,5 CBM. The automobile tank the PPTsZ type, for transportation of the liquefied hydrocarbon gas (propane-butane), 1993 of release of 12,5 CBM, Diameter of the reservoir — 1,6m., tank length — 6,2 m, working pressure — 16 bars. The price — 65 000 UAH. 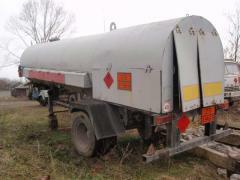 The automobile tank for transportation of liquid ammonia of 35 cubic meters. 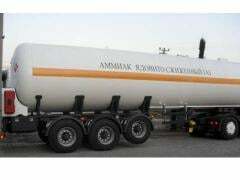 Unbelievable price on Freight transport in Kiev (Ukraine) company UKRAVTONOMGAZ, OOO. Wide choice of quality products at affordable prices.